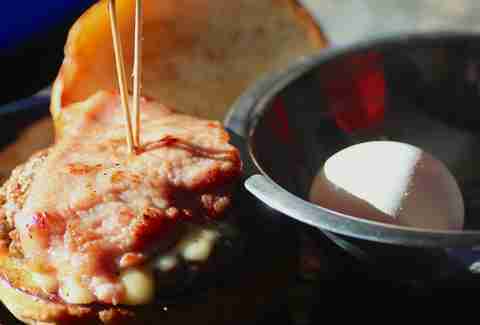 Inside burgers. On French fries. 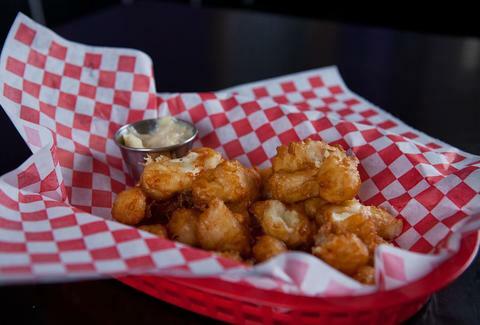 The 7 best places to find cheese curds. 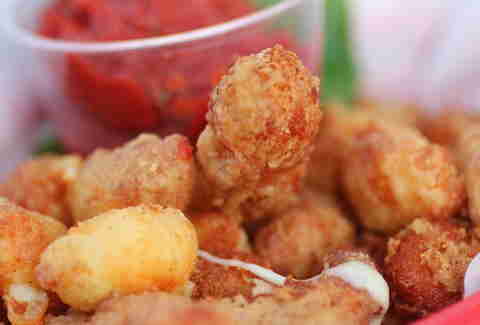 If there's one thing better than cheese, it's... well, more cheese, or possibly cheese curds, provided you know where to find the very best of this fluffy, fried, or even squeaky dairy by-product. That’s why we nobly put on our stretchy pants, did the required delicious research, and tracked down MSP’s finest curdy treats. They've got a shton of sweet cheese curd options, but the standout is The Humpty Burger: this souped-up Juicy Lucy boasts cheese curds in the middle, a fried egg on top, and is big enough to feed all the king's horses and all the king's men, should things come to that. 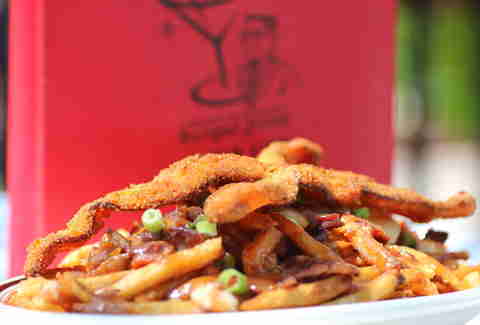 The fact that these fries might kill you won't stop you from poutine them in your mouth, right?! French beef gravy, chopped, chicken-fried bacon, and cheese curds put these fries right on par with the urban burger bar's Velveeta/cheese curd-topped "White Trash Burger". When I say Wisconsin, what do you say? No, not that. That's mean. You say, "beer and cheese". 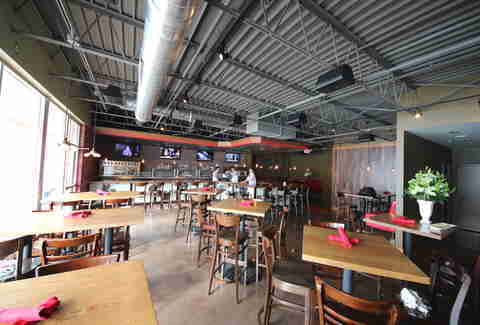 And that's what the folks at the exquisite dive bar, Northeast Palace, said... right before they threw both of them in the frier. 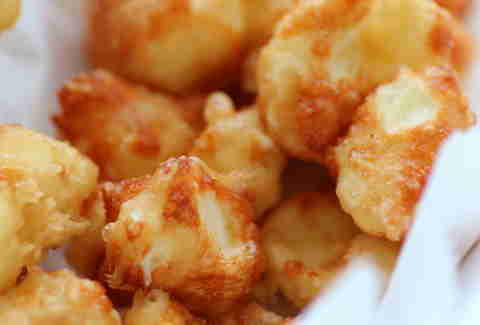 Yep, we're talking about beer-battered cheese curds here, peeps. Each one like eating a little fat-soaked cloud. Opened in an old Blockbuster, this spot's all about burgers, but the real star is Matthew McConaughey! the lightly battered (almost tempura-style) cheese curd appetizer served with a rich triple berry-infused ketchup. 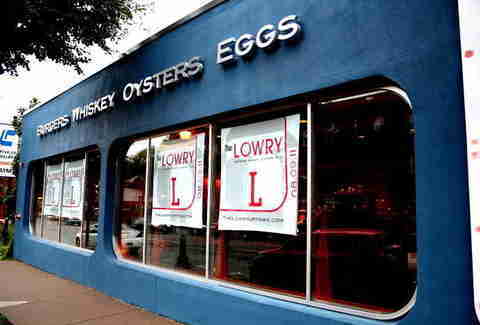 Famous for their mind- (and heart-) blowing soul food (think chicken and waffles, fried catfish/ wings/ shrimp, etc. ), Wings N' Things is slinging this Midwest classic, fried-up and served in a basket old-school-style alongside those classic Southern treats. 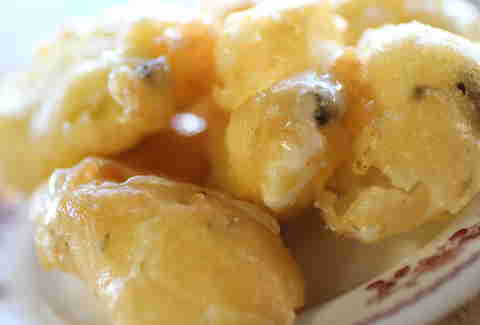 Cheese curds sometimes get a bad rap as just being greasy bar food, so this non-divey vino-ry decided to change all that with light, fresh curds doused in truffle oil... all for the still-divey price of just $5. Continuing the proud tradition of slinging curds in old video rental stores, this former Hollywood Video puts a South-of-the-border twist on this snack by adding jalapeno, and then serving them with blueberry ketchup.